Kermit consults Miss Piggy for help finding a birthday gift for Denise; Kristin Chenoweth accidentally causes dissent within the band The Electric Mayhem. I really enjoyed this episode a lot. It felt less... mean-spirited than the first few. I really enjoyed the emphasis on the Electric Mayhem and Deadly is increasingly awesome. For me, the magic in this episode was Kermit's facial expressions. There was a subtlety going on that was remarkable and somehow stood out to me a lot. I found the product placement to be a bit... obvious and problematic. Scooter kills it again this week. "Wear a robe, Ken." This episode hit every single note. The scene with the band and Kristin Chenoweth in the van was FANTASTIC. Every joke a winner, even the Funyuns line (because, *of course* they would love Funyuns). Although Animal's line "Animal would like to play with live snakes, but Zoot big baby!" utterly slayed me. My only carp with it at all is that something about the way it was shot made me hyper-aware of the puppet-ness of the Muppets, especially Dr. Teeth. 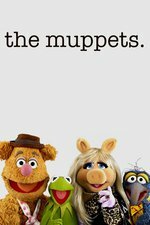 It's one of the very few times in all the years i have watched the Muppets that I did not feel like they were actual living beings. Scooter was completely on-point, but the tag scene with Pepe and Rizzo took it to another level. I am, however, bitterly disappointed that they did not take advantage of the opportunity to actually make an IAmPepe.com website to go along with the DonJuanPrawn@IAmPepe.com email they showed on-screen. Also, whoever is doing the puppeteering for Kermit now is really good. I wasn't sold the first few times I watched this, but I caught the last few episodes over the weekend and this last night and now I'm on board. There's stuff I don't love (Chip), but they band was killing it last night and it was all in all a very good episode. Yeah, Chip and Denise don't do it for me at all, but espcially Chip. I find the Electric Mayhem better in smaller doses, myself; they're kind of a one-note joke. Does Scooter canonically live with his mother, or is that a new invention of the show? They were leaning a little too hard on that joke; I've always thought that Scooter's not so much sheltered as simply charmingly naïve. News yesterday: showrunner steps down, rumblings of a retool/reboot for the back half of the season. My only carp with it at all is that something about the way it was shot made me hyper-aware of the puppet-ness of the Muppets, especially Dr. Teeth. I noticed that too: in the scene outside the van, he's right in the foreground but is very noticeably barely animated at all. Not enough Pepe. I have a theory I'll like any episode Pepe has substantial screen time. Explain the champagne joke to me. I know that Muppet Babies isn't canon for the live action Muppet universe or whatever, but it seems weird to me that Scooter's twin sister Skeeter just doesn't exist in this world. They really need to lose Chip. He's the first Muppet I've ever flat out hated. Ju know- Champagne...the actor? Fast Times at Ridgemount Highs? Dead Mans Walking? briank: I am, however, bitterly disappointed that they did not take advantage of the opportunity to actually make an IAmPepe.com website to go along with the DonJuanPrawn@IAmPepe.com email they showed on-screen. For some reason, I look at Chip and the only thing that comes to mind is one of the faux-socialists around here. Totally agree. Although the voice still sometimes gives me the uncanny valley fantods, the physical expressions are so amazing for such a simple puppet. While Kermit is one of the simplest Muppets (most people good in crafts can do a convincing replica), I think he was also designed from the get-go to be more expressive than regular puppets of the time - since he doesn't seem to carry much hard foam on the head, he's way more flexible and some nimble fingers can do wonders with the extra room. Cheryl will be really annoyed. Mayby hippybear can use his Twitter clout with the series writer to get them to snap to attention and make a Pepe The King Prawn website ASAP! It is a bit mystifying that they would have this prominently displayed email address and domain and then not actually be doing anything with it in time for the episode to air. Seems like a major fail somehow. I think the domain was registered because of some FCC rule that forces networks to own any fake domains they put on the air. Still a missed opportunity, however.